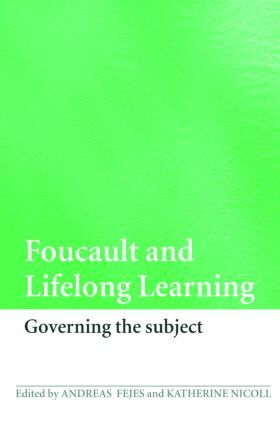 Over the last twenty years there has been increasing interest in the work of Michel Foucault in the social sciences and in particular with relation to education. This, the first book to draw on his work to consider lifelong learning, explores the significance of policies and practices of lifelong learning to the wider societies of which they are a part. What are the effects of lifelong learning policies within socio-political systems of governance? What does lifelong learning do to our understanding of ourselves as citizens? How does lifelong learning act in the regulation and re-ordering of what people do? The book suggests that understanding of lifelong learning as contributory to the knowledge economy, globalisation or the new work order may need to be revised if we are to understand its impact more fully. It therefore makes a significant contribution to the study of lifelong learning.